Luxurious commercial chaise lounges and outdoor pool chaise lounges are a patio furniture must for our hospitality and commercial customers. 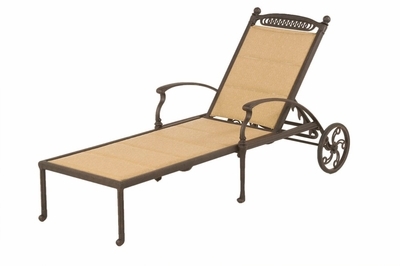 Here at Open Air Lifestyles we offer a large selection of outdoor chaise lounges to meet any of your resort needs. For chaise lounges at the pool, resort or balcony, if it's outside we can produce it to your specs. With a focus on frame strength and comfort. Quality materials and exceptional customer service guarantee your experience from beginning to end. Every piece of Open Air Lifestyles, LLC Commercial Furniture is made to order based on your specs in 4 to 8 weeks, Open Air Lifestyles offers a large variety of frame styles, finishes and over 50 fabrics for a almost endless number of possible selections. Here at Open Air Lifestyles, every piece of our commercial outdoor patio furniture is custom made. For most commercial installations, we manufacture outdoor furniture to your specifications. Quantity restrictions and a focus on frame strength, of course, apply. Contact Open Air Lifestyles, LLC or your Commercial Representative for complete details at 1-877-548-5697.